It’s our “NOMADAVERSARY” (Nomadic Anniversary) of traveling for our first year on the road! We did it, and we love it so much that we are going to keep going. Yep, we have family members, friends, and complete strangers who think we are crazy. I say if you’re not a little crazy, you can’t do what we are doing or have done! We left our sticks and bricks house for adventure, memories, and lots of laughs. We have visited 28 states (which is 56% of the USA!) and traveled over 30,000 miles! We have had poop-sicles (the black water tank in our fifth-wheeler was frozen for three days straight), the girls saw snow for the first time in New Mexico at 5:00 am. The girls made their first large snow man in Beaver, Utah. We visited friends and family that we haven’t seen in years. We have UNSCHOOLED across the country or ROADSCHOOLED with museums, zoos, aquariums, and historical sites. We were also featured on the professional hobo website with “A Week-In-The-Life of the McIntyres: 5th Wheeling Across the US“. New Orleans, LA. where Cafe Du Monde was calling her name to come and eat their delicious beignets covered in powdered sugar with a wonderful cup of hot chocolate to wash them down. Taking the train from Williams, AZ to the Grand Canyon on her birthday, and seeing snow on my birthday while viewing the Grand Canyon for the first time (making it that much more special for me). We watched squirrels stealing and opening packages of crackers that people laid down on the rock walls while preparing their chili. The Roadschool Rally in Tucson, AZ. We got to meet other families like us that are traveling the country. Going to Gulf Shores, AL. and jumping into 46 degree water in the Gulf of Mexico for the 29th Annual Polar Bear Dip. Visiting friends in Park City, UT that we hadn’t seen in years. We went to Olympic Park and conquered the obstacle courses and zip lines with friends. While in Hot Springs, SD going to and learning about the Mammoth dig site. We hope go there again in the summer because they have a kids program in which kids could actually help unearth the fossils!! Driving down Historic Route 66 between Needles, CA and Kingman, AZ was crazy! Some of the roads were very narrow with tight switch backs and shear drop-offs with no railings as if daring you to make a mistake. We also enjoyed Oatman, AZ with the wild asses walking through the streets of the city. People stopped in their cars to feed them. Mobile, AL because while we were there had a Mardi Gras Parade (kid friendly) and an oyster shell scavenger hunt that gave a tour of the city. There are about twelve large oyster shells all painted by local artists with depictions of Alabama culture. Learning about and how wooden shoes are made in Holland, MI and seeing all the tulips and how many colors they can come in. Roswell, New Mexico which is the home of the UFO museum and many other free museums. Horse country in Kentucky visiting the horse farms, going to the horse track, and trail riding. Seeing the Crazy Horse monument and Mount Rushmore because of the scale and all the work is done by private donations rather than government funding. Getting to visit every Bass Pro Shop, Pet Smart, Pet Co. and some Cabela’s in the last 27 states. When we go on hikes they let me join them. My favorite was in Utah when we hiked to the falls and my mom almost passed out. Going to the Great Lakes Museum because dogs were allowed in the garden outside the museum and we learned a lot about them. 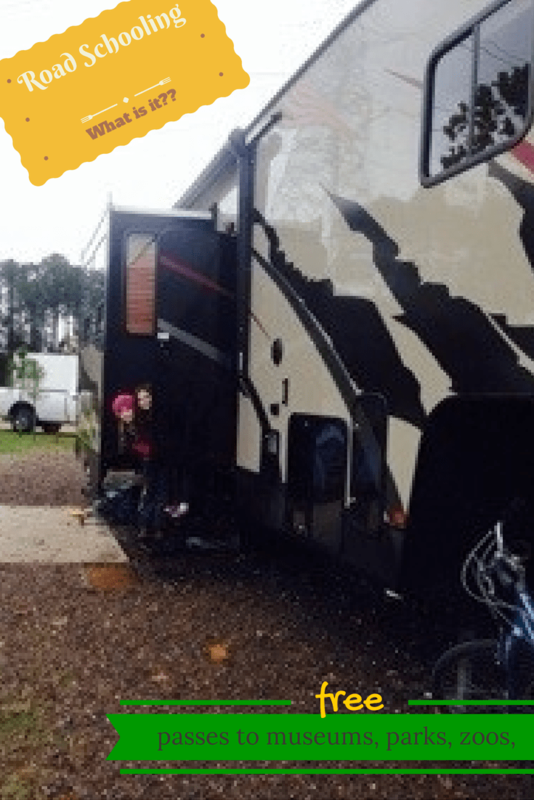 This entry was posted in factory tours, Geography USA/World, History, Jr. Ranger Badges, lego, Math, Museum/zoo/aquarium Reviews, Reading/Language Arts, roadside america, science, Unschooling and tagged last years highlights, nomadic anniversary by Chrissie. Bookmark the permalink.